You may have heard of or even have had the tantalising luxury of tasting Hong Kong’s three Michelin-starred Bo Innovation. 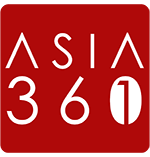 Reputed for his extreme takes on traditional Asian delights, its mastermind Chef Alvin Leung has now decided to broaden his horizons and give us lucky Singaporeans a chance to taste more of his creations. Nicknamed the “Demon Chef”, the London-born Chef Leung fashioned for himself a unique style of cooking that shot him to fame. His dishes inject elements of his engineering background, with innovative takes on Chinese cuisine, defying rulebooks of the culinary world. His works at renowned Bo Innovation in Hong Kong and Bo London in London, UK are testament to his gutsy style and culinary genius. Staying true to his moniker, his new venture into our shores is no different. He has opened 15 Stamford by Alvin Leung, a 150-seater restaurant that promises familiar Asian flavours enriched by his contemporary twists. 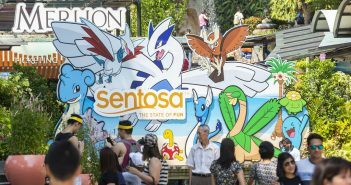 The restaurant is nestled within The Capitol Kempinski Hotel, which is situated in the heart of Singapore’s civic district to capture the tastebuds of Singaporeans and tourists alike. This new establishment was brought to life by Chef Leung’s decades of experience in Asia’s culinary fields, having savoured its rich cultures and various ingredients. While his previous endeavours have dabbled and excelled in molecular gastronomy, he hopes to guide 15 Stamford along a different path – showcasing instead a diversity of Asian specialities in their finest form. You can expect to find iconic dishes from all over Asia- from Japan’s shokudos, the streets of Malaysia, to the hawker stalls of Singapore, engineered by Chef Leung’s modern perspectives and infused with his devilish ideas. 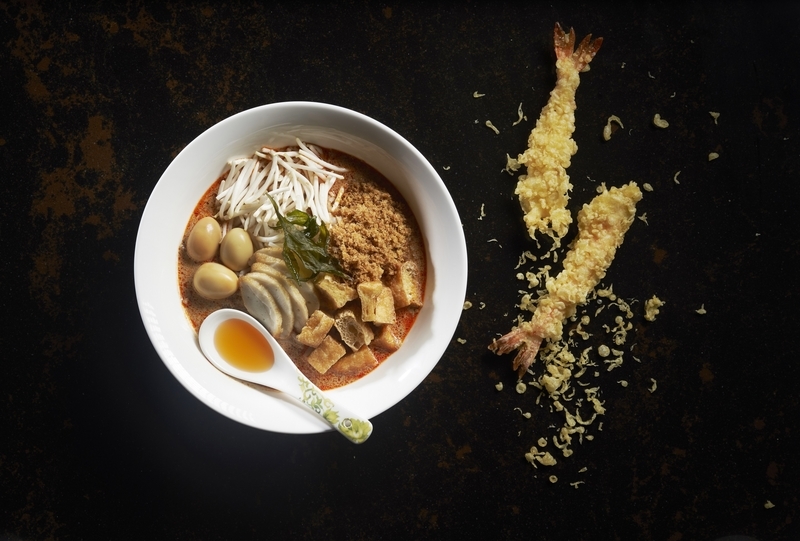 Some signature dishes to drool over include the all-time-favourite Singaporean laksa. 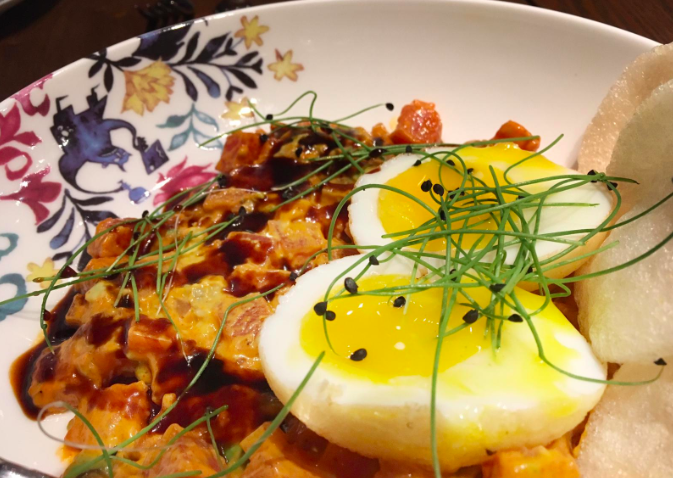 One new brainchild is the Singapore Laksa with Jasmine Tea-smoked Onsen Quail Eggs, Housemade Dried Shrimp Oil, Shrimp Floss and Tiger Prawns Tempura. 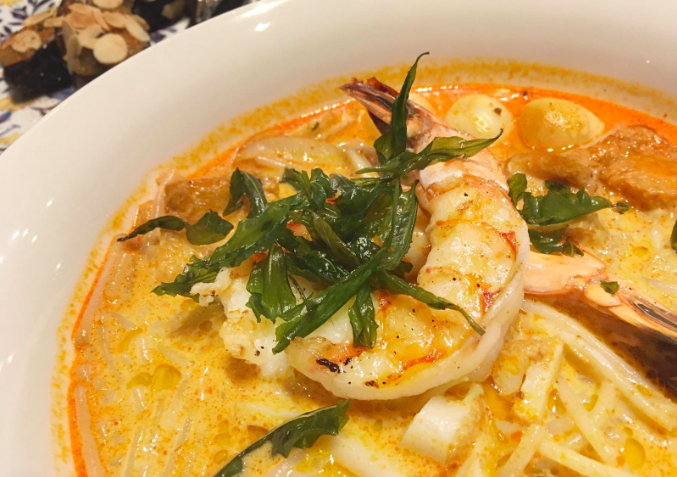 None of the richness of original laksa is lost, not when the coconut milk broth soaks up the added fragrance of the oils and fresh prawns. As you shovel homely and nostalgic spoonfuls of thick bee hoon into your mouth, there’s only one word to describe that feeling: shiok. If you’re not a fan of seafood, Chef Leung takes you on a trip down the heritage lanes of Malaysia with a nourishing beef stew. 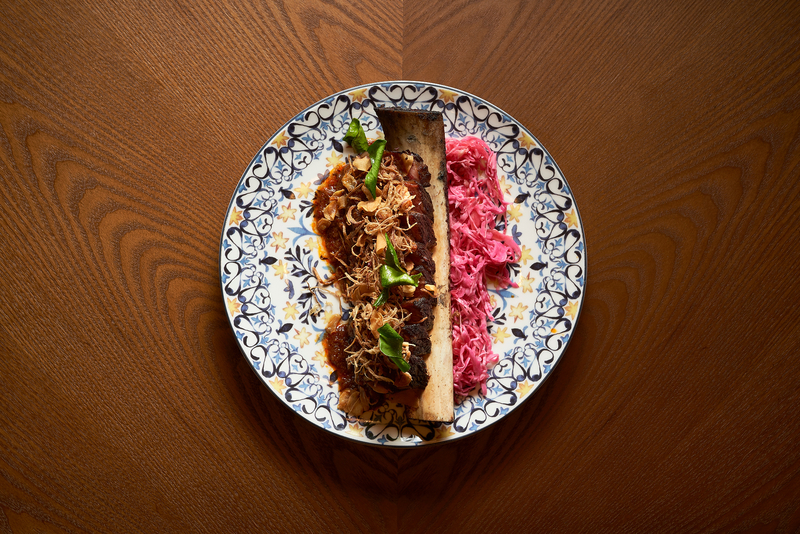 Bone in Beef Short Ribs Rendang served with Cabbage Salad is a sensory delight, starring 72-hours sous vide beef chunks marinated in glorious amounts of rendang. Completed with a healthy dose of fried scallions, the dish guarantees a gratifying gastronomic experience that tastes just like home. Bone in Beef Short Ribs Rendang served with Cabbage Salad is Chef Leung’s decadent take on a traditional beef stew. Other main courses make bold explorations into Japan’s fresh catches, and traditional Korean sauces. To conclude a satisfying meal, a lion city essential comes into action: ice kachang, in the form of Mango Pomelo Sago with Coconut Snow. Rich coconut ice is shaved and adorned over a blend of tropical mangoes, chewy sago and tangy yuzu bits, combining popular local desserts in a mouth-watering manner. These recipes surely live up to Singapore’s name as a food paradise, and preserve the very core of our everlasting favourites, elevating them with enthralling additions. The next time you’re in town and are searching for an affordable yet decadent treat, remember 15 Stamford by Alvin Leung and its savoury offerings.